I am an artist and storyteller! I write, stream, create art, and make YouTube videos. On my journey here I got a degree from the University of Santa Barbara in Medieval History, and studied at the University of Edinburgh in Scotland specializing in folk magic and Medieval literature. I also worked in special effects, creating creatures and costumes in shops for Disney, Dreamworks, Adult Swim, and more. I got my start in youtube because I was one of the subjects of Morgan Spurlock's documentary, Comic Con Episode IV: A Fan's Hope. These days I spend my time rescuing pigeons, streaming, and playing Dungeons and Dragons. 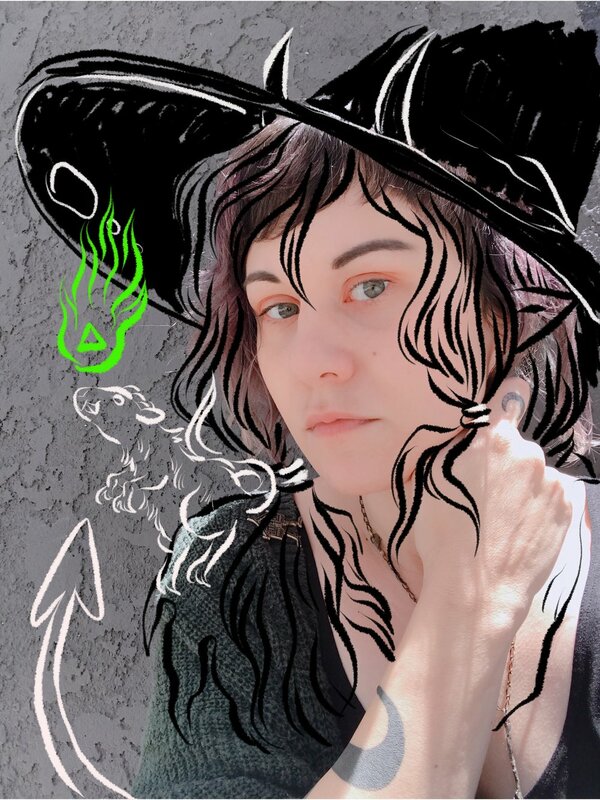 I play Strix, a tiefling sorcerer, on Dice, Camera, Action, the official Wizards of the Coast D&D show. My current big project is working on getting my (technically second) fantasy novel published.